Come face-to-face with tropical fish and rainbow-colored coral as you dive into the cool waters of the Atlantic. Head out from Tenerife for a thrilling 45-minute scuba dive at one of the island’s many dive sites, accompanied by an experienced guide. 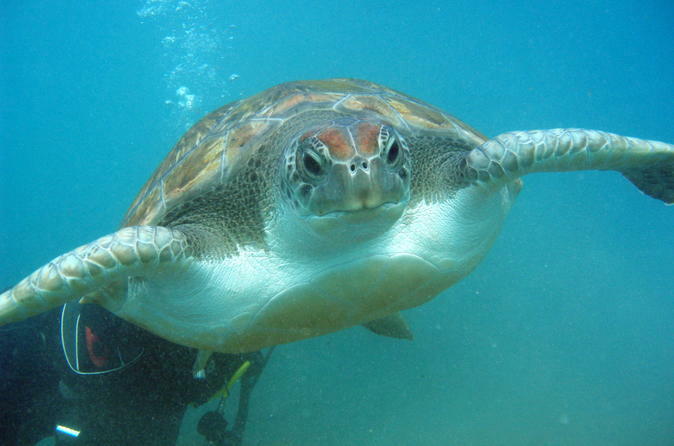 This tour is for certified scuba divers only and is limited to six divers per guide. All equipment, hotel pick-up and transfers are included.